The “Luck of the Irish” will be musically profound at Empire City Casino with the announcement that Shilelagh Law and Celtic Cross – the exceedingly popular New York City-based Irish-American bands – will perform on Sunday March 4, from 2-6 p.m. in a prelude to St. Patrick’s Day. The Pipes and Drums of the Police Emerald Society of Westchester,comprised of police officers from a majority of the 39 Police Departments within the County of Westchester, will also perform. Shilelagh Law, known to interpret traditional Irish music through a filter of “urban grittiness”, helps define the Irish-American experience that is such a part of New York. Their fan base is widespread and one of the most loyal in the music industry. 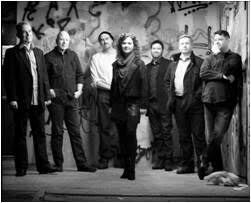 Celtic Cross, founded in the Bronx in 1990, has been making and breaking Irish music traditions all over the U.S. and abroad. The music of the seven-piece band blends a combination of traditional, sassy pop, alt-country and funk, playing music to tell a great story through song. “We are excited to be back again this year, and see all our friends from Yonkers, Westchester, New Jersey and the surrounding areas. It will be a blast and we hope everyone comes out to celebrate with us!,” said Kathleen Fee, lead song-writer for Celtic Cross. Tickets are priced at $20 and are on sale now at empirecitycasino.com. All tickets are general admission/standing room. The indoor concert will be held on the casino’s 4th floor. Food and beverage will be available for purchase. Concert is open to attendees ages 18 and over.